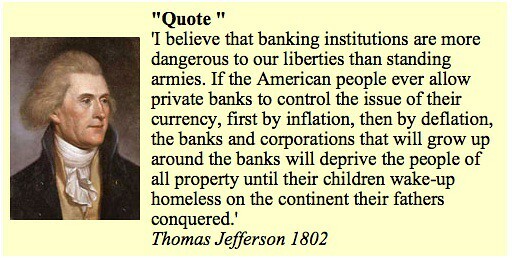 Excellent, mr. Jefferson had complete understanding, it’s strange that words have no real meaning until it happens to you. I am experiencing this very event for the second time in my life, now going through Bank Ombudsman who I believe is just part of the circus. Any market led society is propelled by the same greed. Money takes the place of religeous belief and learning. This is Britain today.